On 13 July, Mr. Liu Xiaobo passed away under the watchful eyes of his captors, the Chinese authorities. He was the first Nobel Peace Prize Laureate who died in the captivity of a totalitarian regime. The totalitarian regime is so fearful of the moral inspiration of Mr. Liu Xiaobo, that they even had to scatter his ashes into the sea after he left this world. Mr. Liu Xiaobo fought for freedom all his life. What he said on 13 January 2000, “In order to achieve negative liberty, one must have the determination to fight positively”, was a portrayal of his own life. Since the 89’ Democratic Movement, through the formation of the Independent Chinese Pen Centre and till Charter 08, he had fought for a China without hatred, without enemies and without lies through 30 years of resistance. Only through resistance can we achieve freedom, only through resistance do we have hope. To mourn Mr. Liu Xiaobo, the great fighter for democracy in China, Freedom for Liu Xiaobo Action Group and Mr. Liu Xiaobo Memorial Alliance hereby jointly call for a global memorial for Mr. Liu Xiaobo on 19 July, titled “Freedom through Resistance”, on the 7th day of his passing as per Chinese custom. We call for global citizens to participate in this memorial together and say “no” to the Beijing dictatorship! 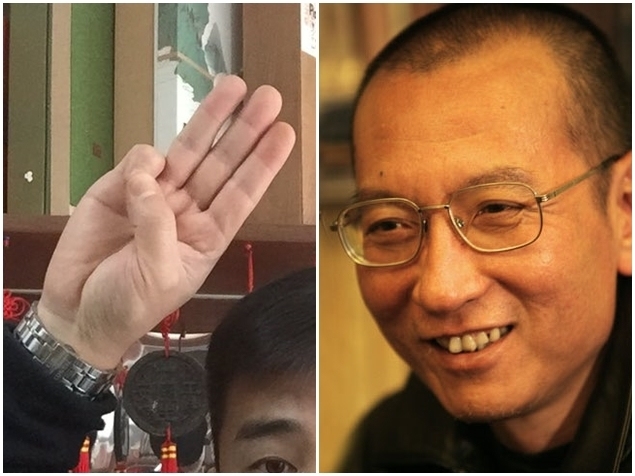 Individuals or groups may take a picture of them raising three fingers together with an empty chair, with any appropriate memorial offering to Mr. Liu Xiaobo placed on the chair such as flower, candle, paper or photo. It will be best to choose a place near the sea or river, in memory of the sea burial forced onto Mr. Liu by the Chinese dictators. Please upload such photos with the tag #withliuxiaobo onto social media such as twitter, facebook, Instagram, Wechat or Weibo.